Alteros 3D é um 3D/2D visualizador gráfico e jogador de multimídia com uma interface personalizável. Alteros 3D is a 3D/2D graphic viewer and multimedia player with a customizable interface. The software supports any 3D graphic file types (3DS, VRML, TrueSpace, LightWave and many other formats), as well as 2D graphical files (PSD, PNG, TIF, JPEG, BMP, GIF), Video, Audio files and DVD. A built-in text editor allows you to work with TXT and RTF files. Alteros 3D can also display HTML files and other documents via OLE interface (requires Internet Explorer). The program interface can be easily changed with the help of the skins. Alteros 3D has its own desktop file format: ADESK. Using ADESK files you can create custom graphical interfaces with buttons to launch different programs, and open files and folders. ADESK files can be used as an Alteros3D start up interface, as well as a user's CD/DVD/FlashDrive interface, if the program is used as an Autorun shell. Alteros 3D allows you to open any number of documents simultaneously. 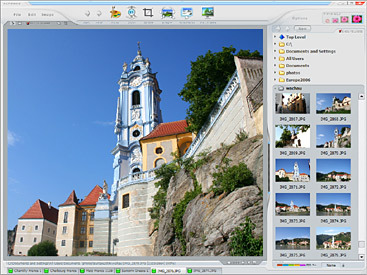 Fullscreen and Slideshow modes, image editing procedures, different navigation options, a history list and many other useful functions for working with pictures, photos, texts and other files are available. Key features: - Thumbnails for 2D and 3D graphic files. - DVD-video, Video and Audio files playback. - 3dm, 3dmf, 3ds, asc, ase, c4d, cob, dwg (limited support), dxb, dxf, geo, iv, lif, lvs, lw, lwo, max (limited support), md2, md3, mdl, mts, ndo, obj, objf, off, peo, prj, pro, rax, scn, spx, stl, tim, wrl, x and xsi 3D-formats supported. - Copying 3D image rendering result in clipboard. - Rotation and scaling of 3D objects. Alterations of lighting, transparency, material type and display mode of 3D objects, as well as many other settings for 3D scenes. - Bmp, dib, emf, gif, ico, jif, jpe, jpeg, jpg, pcx, rle, tga, wmf, psd, tiff, png, ppm and other image formats supported. - Zoom in/out modes, screen floating. - Set any picture as Wallpaper. - Slideshow mode. - Graphical effects. - integration with www.brodyaga.